I hope you are all having a wonderful weekend. My plans are shopping, watching world cup and get a good nights sleep. 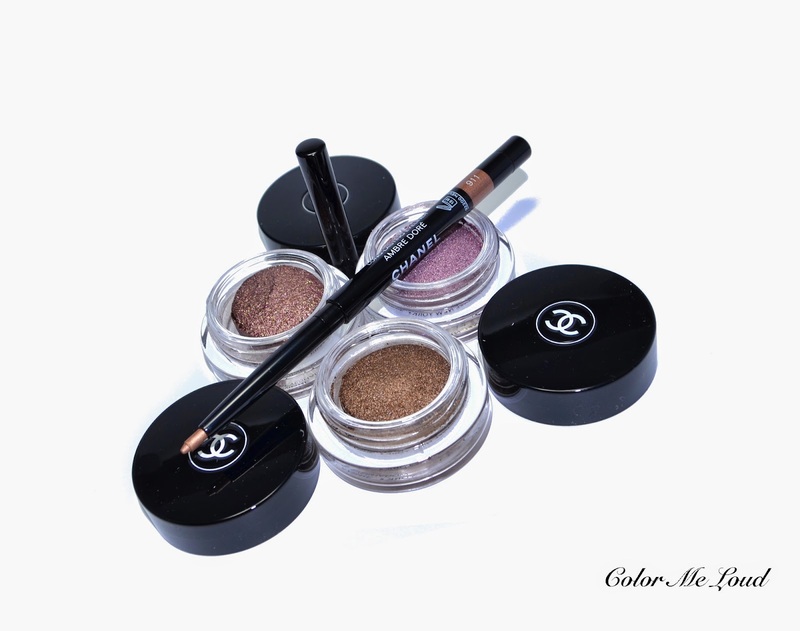 I have been playing with Chanel's eye releases from their Summer 2014 Collection Reflets D'Été and have been asked a few times to tell my thoughts about it. 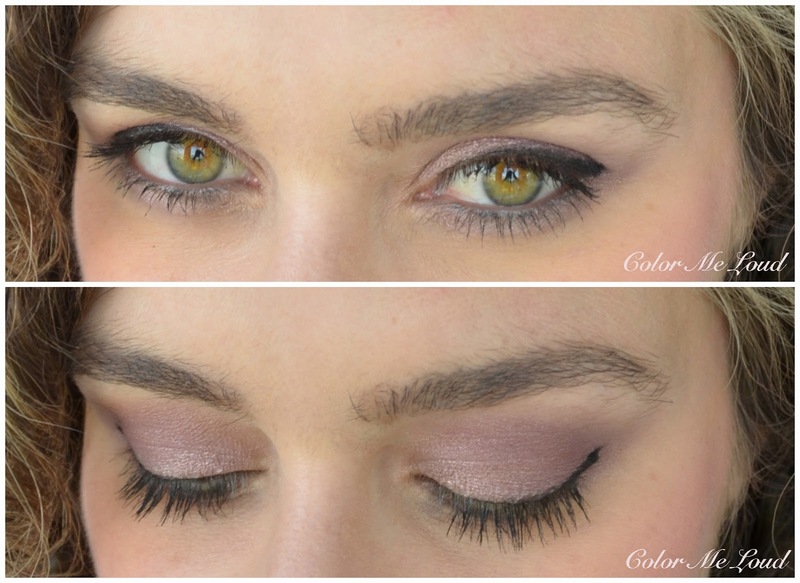 I am a big fan of Illusion d'Ombre formula and use them often for a simple and quick look in the morning. I was very much in love by the recent ones from Spring 2014 Collection, Diapason and Impulsion and Holiday 2013 Collection Fatal and Initiation. So when I have heard that there were three more shades coming up, I was very excited to try them out. #95 Mirage is defined as bronze. It is a khaki gold with multi-colored shimmer. The shimmer in this one is not over the top, it is close to the shimmer in Fatal which is there but easy to wear for a day look. #96 Utopia is defined as luminous lavender. It is a cool pinky lilac. It is close to the nail polish shade Sweet Lilac (reviewed here) in a sense that I would expect to get more lilac/lavender but it looks more like pink on me. 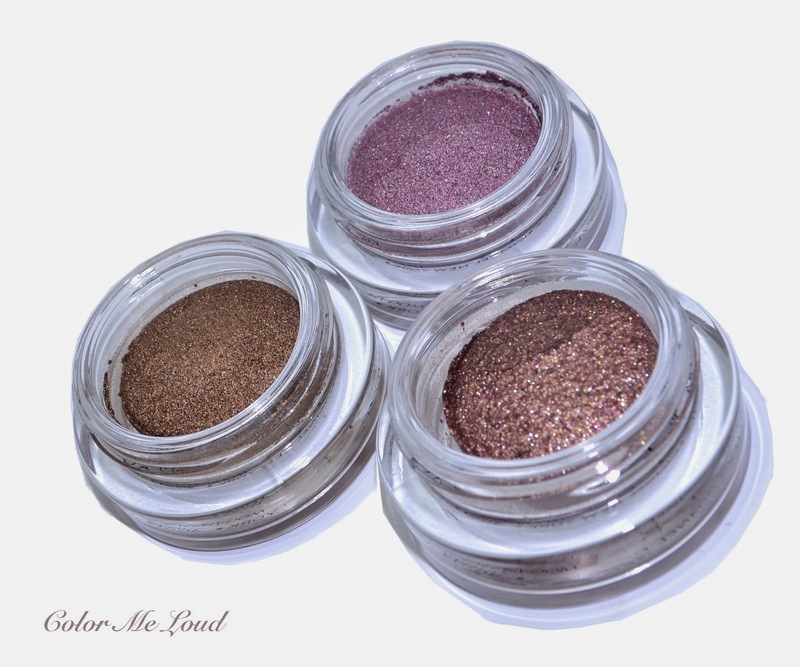 The shimmer in this one is also subtle and suitable for a day wear all over the lid. #97 New Moon is the stunner of the collection and it is full of surprises. It is described as luminous copper but the definition of "luminous" in this one is different than that of Utopia. The first time I applied it, I did so with day light since I like applying my make-up like this. I applied more and more to get the opacity, then I went to the restroom to clean my fingers (which I used for applying) and wow! It was as if I applied whole bottle of glitter on my eyes. This one changes so much with light so I recommend applying it under "strong light" and with a "light hand". 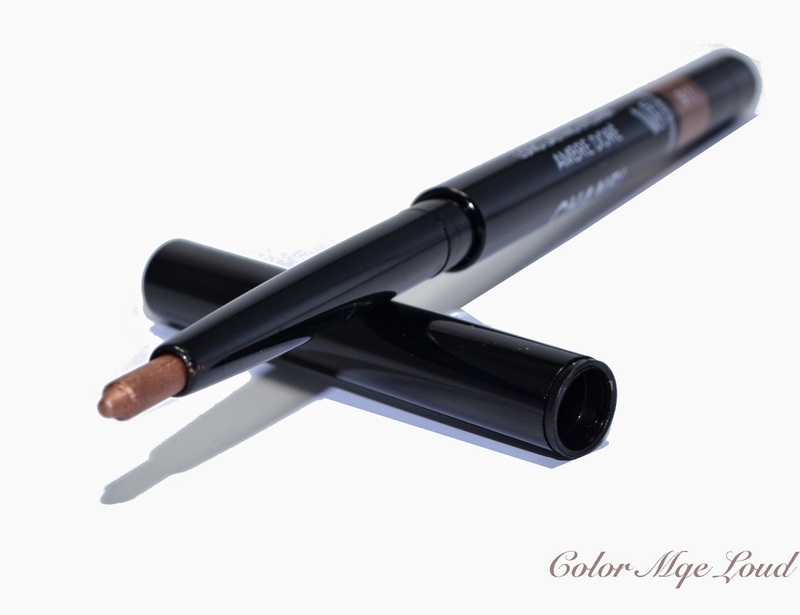 There is also a new Stylo Yeux Waterproof Eyeliner, #911 Ambre Dore, which is a coppery gold. This one has a very soft formula which applies easily but you have to be very cautious not to take too much out because it breaks easily. My first one broke by the first application and I got a replacement. Now I am afraid to use this very lovely shade. If you have blue eyes, you need this one to use it lightly on your water line. Below you can see two set of swatches with sun and in the shadow. 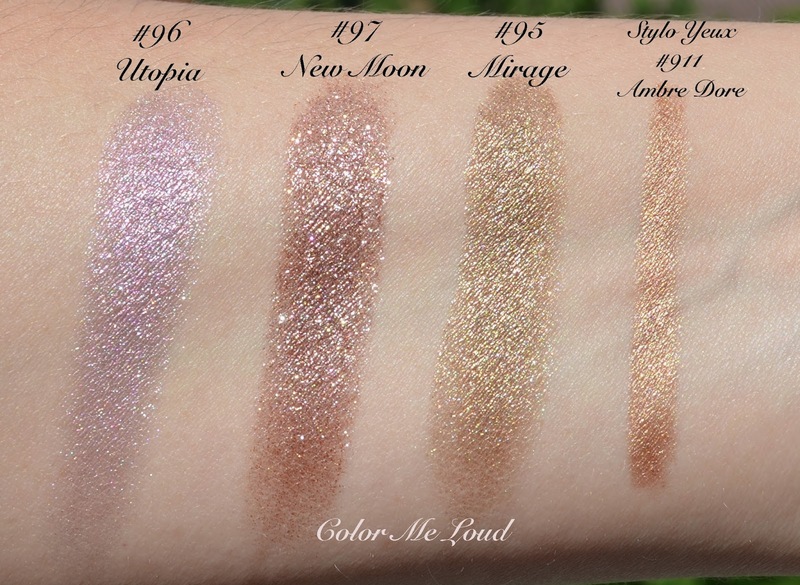 The shadow swatches show the base shade and sun swatch shows the glitters and shimmers. Look how New Moon looks like with direct light to understand what I mean. 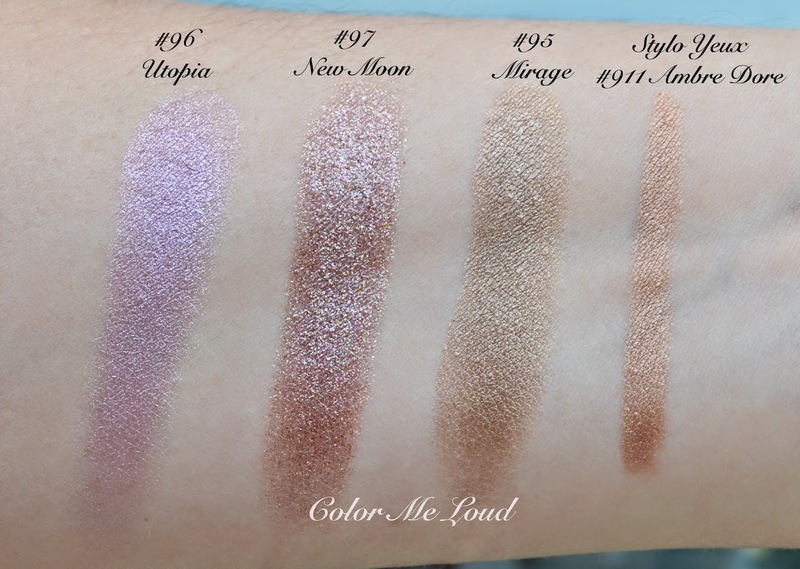 You can see the difference of blink ratios (if there is something like this), Mirage & Utopia being nice, multi dimensional and not over the top, New Moon is blink plus plus and pretty for those of you who like glitters on the eyes. Here are a few comparisons to other Illusion d'Ombres. Utopia is a unique addition to the line. Although I prefer Illusoire (one of my all time fav) to this one, Utopia is still pretty. Just wished it would be a touch cooler and more lavender than it is. Unfortunately it also lacks the funky duo chromish light games only Rose des Vents and Diapason can do. I like wearing Utopia with black eye liner, like seen below. Now you can see that it looks more like a cool pink on the lids and not very much like lavender. I can see that being an advantage for warmer complexions being able to pull this one off but for me I would wish for a little more blue in there. #95 Mirage is close to Initiation, like a slightly darker and less shimmery version of it. I like Initiation and found Mirage to be a bit subdued, but probably that is just me because I can see that everyone loved it. It is a great swipe and go shade. This one can also be used all year long. Comparisons show that Apparance and Vision are more Gold, Epatant is more green and cooler. The most blink Illusion d'Ombre to date was Initiation and who would expect that this record would be broken by New Moon. New Moon is the glittery version of Fatal, which I truly love and can't get enough. New Moon though, is a little too glittery to be worn on its own for me. It does work wonderfully when slightly padded on the lid to add a little bit of something to the eye make-up, or to use as a base to bring matte to satin colors to life. 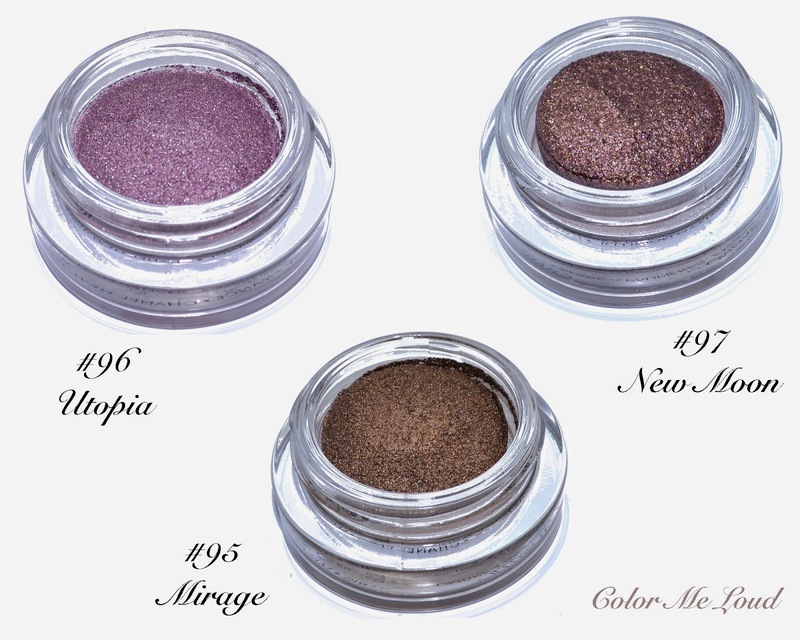 Below I am wearing Mirage all over the lid with a touch of New Moon on the center. This way they combine nicely. As I previously mentioned, I have to make sure that I apply New Moon with a strong light, to not to over apply it. Here is the whole look using Cream Blush in Cheeky and lipgloss in Happy from the same collection. Mirage & New Moon on the eyes. All in all, I am not blown away by these three releases as I was with Fatal, Diapason, Rose des Vents or Initiation. They are though pretty and unique additions to the Illusion d'Ombre family. Final thoughts: Bronze lovers and those who found Initiation from Holiday to be too glittery may want to check out Mirage. Utopia is not as scary as it looks and it pulls almost too rosy on me so I can see it working on warmer complexions as well. New Moon is not for the shy and I can see myself using it as a slight addition to my makeup with a very light hand or as a base. I recommend applying New Moon under strong light, not to be surprised later on seeing your super glittery eye makeup in the restroom mirror. Mirage is listed as permanent, Utopia and New Moon are limited. I don't understand though why they gave them permanent shade numbers (numbers starting with 80 and 90) instead of limited addition numbers (numbers with 800s). Did you get any of those? How do you like to combine them? Yes Diapason and Fatal for me, I am especially fond of Fatal and these are a little meh once compared. And you are right, New Moon has fall out a little. I wear glasses and at the end of the day they are covered with glitter :-) An eyeshadow base helps keeping this at bay though. hi sara!! 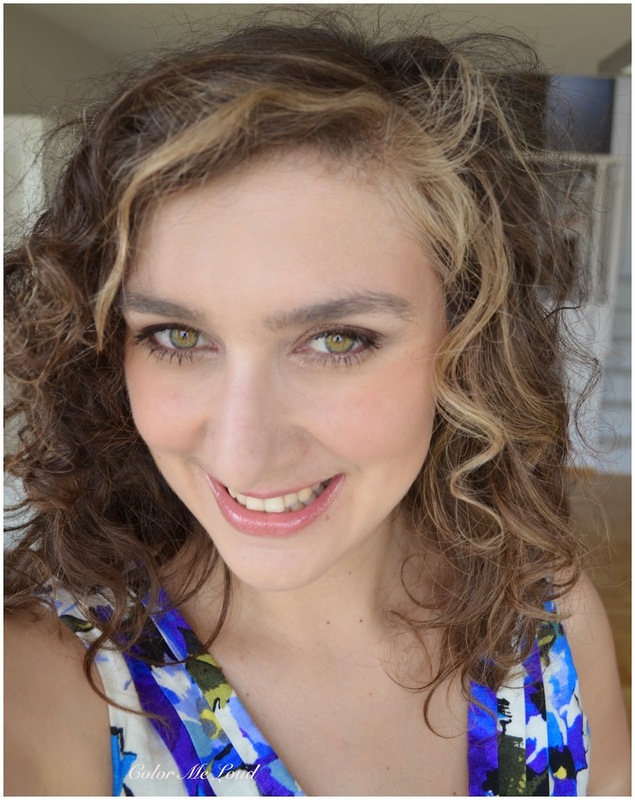 last year, i wore chanel's "stylo stick" in moon river with liner and their inimitable intense mascara. i thought it was a great, easy look and lasted all day. i must have a "thing" for the moon because i liked new moon much better than mirage. is it too much for the day? i guess that is in the eye of the beholder? i have deep set blue eyes and sometimes i really can't see the color on my lids. i'm so sure that i use a heavy hand with new moon. i've been using it on my lids and up and out into the crease. i also take the darkest color from their spices quad and line it on upper and lower lid. i love their inimitable intense mascara. i use just the regular formula and it does not budge all day. it's really the only mascara that doesn't smudge or smear on me. i swatched the cheeky blush at the counter but it didn't really go with my very pale skin tone. so, i use their "in love" powder blush. at first, i didn't like the glosses. but, after wearing them, i think their very nice although, wear time for me is not that great. i sometimes wear "happy" and "sunny" together. i really wanted to duplicate the model's look in the ad campaign. i find at the end of the day, there's pretty much fall out and i have to be careful that it doesn't get in my eye...ouch!! i wanted the beauty consultants to apply all the colors and help me with application but, i'm finding the particular artists to be more sales oriented than really trying to help. i didn't like mirage on me. i guess i like that extra sparkle. but, after reading your post , i'm thinking that i should try it again with that pencil. i've worn chanel exclusively for years. i do feel somewhat lost when looking at other brands. but, i've been really disappointed with chanel for awhile now. i definitely will not be purchasing their fall collection. i didn't like anything at all. and, i usually purchase every item from their collection and be so excited about it! thankyou so much for taking the time out to post this for all of us!! you are truly such a great beauty "blogger".i just can't wait to read your next reviews and recommendations!! xxxxxxoooooo to you!!! Hi Sara! 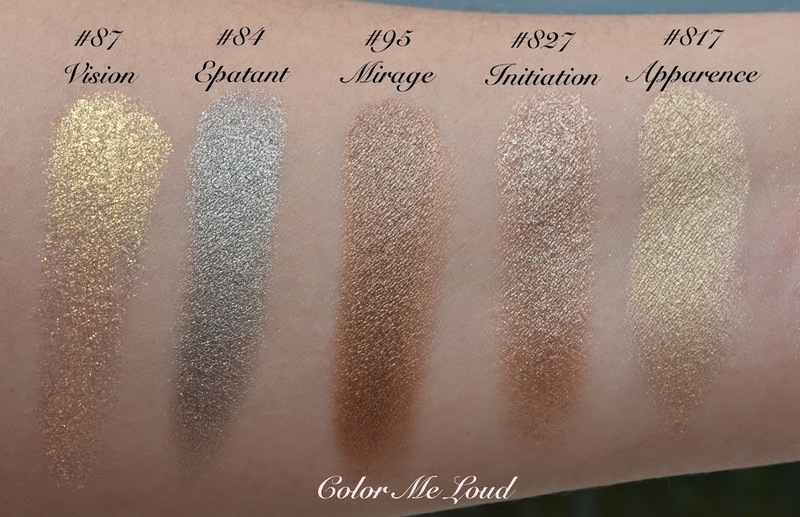 I have Mirage and love it as it's such an easy bronze shadow to wear day to day. Utopia unfortunately made me look tired (lavenders are sometimes hard to wear on my yellow-toned skin). 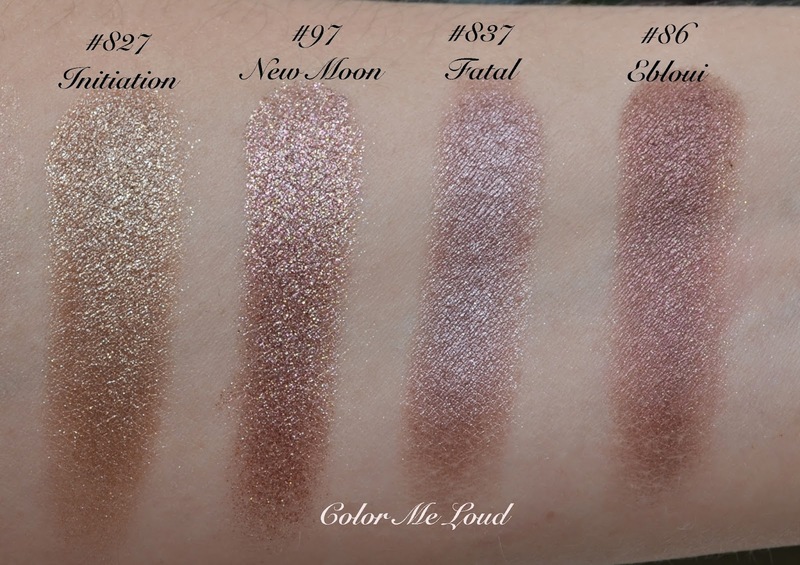 New Moon looks beautiful in your swatch, but I agree that it can be hard to pull off a very glittery shadow like that on its own! Hi Carolyn, if you are warm toned, Mirage must be looking especially stunning on you. On me it is a bit meh but if I combine it with New Moon, it works somehow better. 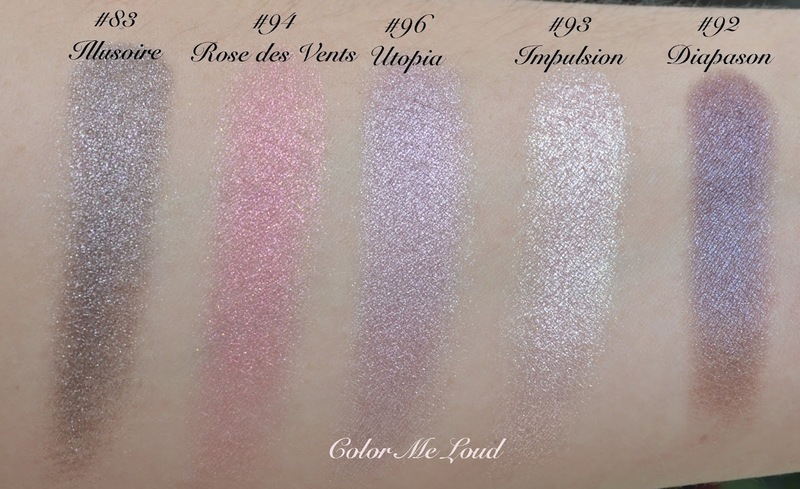 Utopia pulls very pink on me but depending on the undertones, I can imagine this one looking more lavender. Hi Sara! In a way, I'm jealous that you are cooler-toned as I often wish I could wear cooler-toned shadows. Sadly, some purples and lavenders (and even some browns) tend to make me look like I was punched in the eye! Looking gorgeous as usual!! Agreed that these aren't as good as past seasons d'Ombres, but I have been getting a lot of use out of Utopia and New Moon together. It seems many of the LE stuff from Chanel this year has been falling flat. At least their new permanent formulations have been good quality. Now Utopia and New Moon together, I need to try that. Why haven't I think about it? I agree with you about LE things but again you are right about the permanent stuff. Love their new palettes!